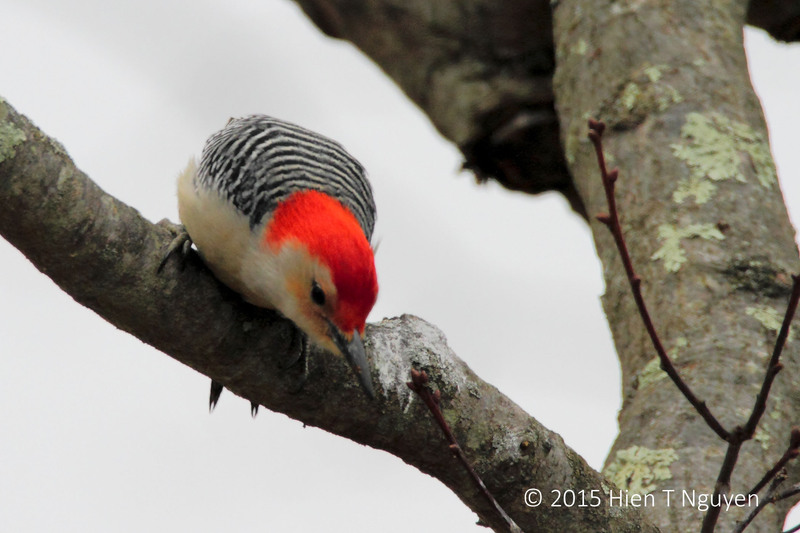 High on a branch of the oak tree, a male Red-bellied Woodpecker was looking at our bird feeder. He got his sunflower seed. Barely a minute later, he looked happy enough, even when the wind was ruffling his feathers. Love that diving capture – you must be very quick on the draw!! Thanks Tina. Actually the camera did the work. I keep pressing the shutter and the camera is supposed to take up to 7 shots per second. That way it can freeze some movement like what you see in the above photos. 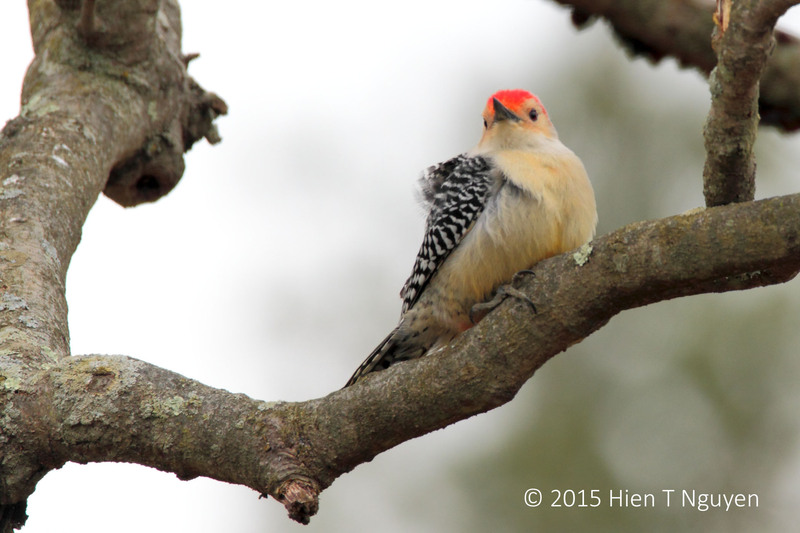 A bird of rare beauty Hien!The pattern of its wings and the bright red feathers on its head make it so very special!Great timing you captured my friend!I’m so happy it left your place after having a rich seed-dinner.But,why the red-belied name ? I can see red only on its head. 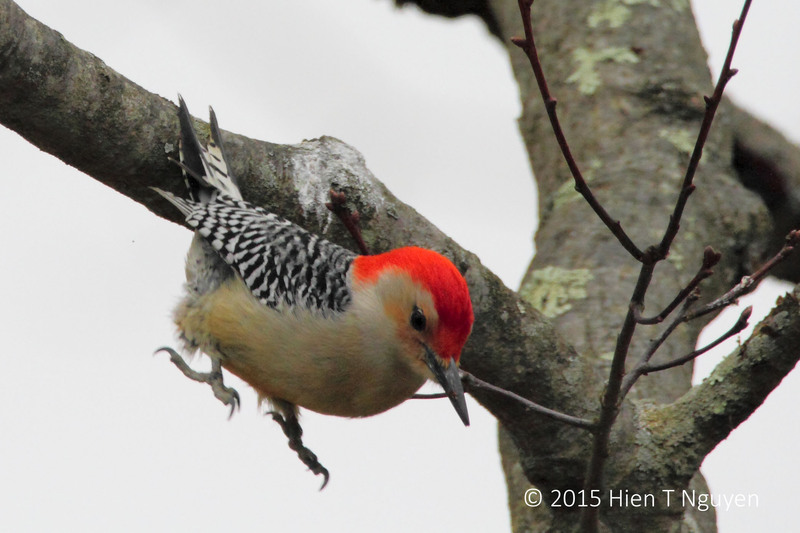 That is amazing capturing him coming off the branch. Wow what color! Another unplanned shot of a colorful bird. Thanks Sue! Very cool captures! 🙂 beautiful bird!